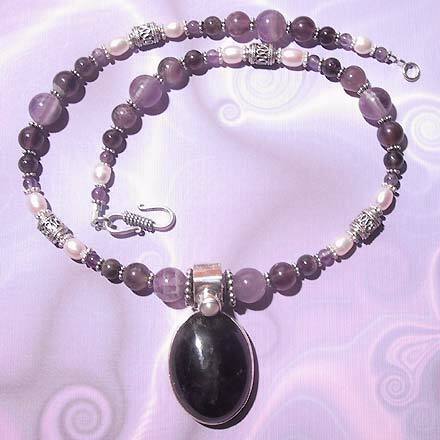 Sterling Silver Amethyst and Freshwater Pearl Necklace. See Closeup. 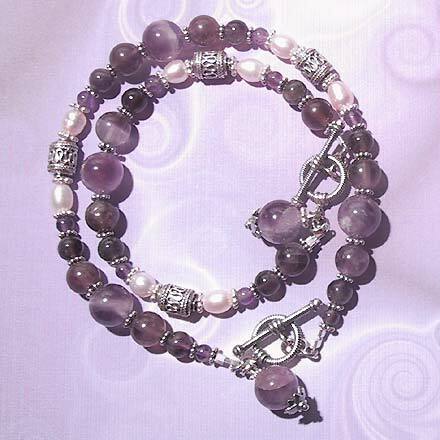 Sterling Silver Amethyst and Freshwater Pearl Anklet (outer) and Bracelet (inner--SOLD). A gorgeous color combination with this set! Assorted violets and purples make up the Amethyst stones, while the Freshwater or River Pearls are a very soft shade of pink. 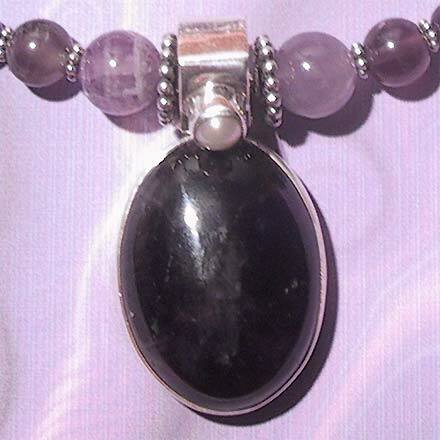 The pendant on the 18" necklace has a large, dark Amethyst with a small white River Pearl set in the bail. New with the introduction of this set are Ankle Bracelets or "Anklets"--this one is 10¼". For those who are interested in Astrological significances of stones, Amethyst corresponds with Pisces and the month of February, and Pearl corresponds with Cancer and the month of June.